home of Mercy Housing and Shelter Corporation's Diversion Center. Waiting for the door to open, people are lined up as many as forty deep on a typical weekday morning at St. Elizabeth House's main entrance. They are our neighbors in crisis hoping for support once inside. In imminent danger of being swallowed into the downward cycle of homelessness, they are seeking a life saving diversion from living on the street. This is their reality. And it's just a small glimpse of their daily reality that I saw on my recent visit to St. Elizabeth's. I was there to learn first-hand about Mercy Housing and Shelter Corporation's innovative program to divert people away from becoming homeless. Twenty months ago on July 5, 2016, Mercy Housing and Shelter Corporation (Mercy) welcomed its first clients to its newly created Diversion Center at St. Elizabeth House on Main Street in Hartford. Faced with diminishing federal and state financial support for Mercy's long-established transitional housing programs, Executive Director Dave Martineau, now retired, and current ED Judith Gough led a nine month multi-organization collaboration to develop an aggressive "up front" program designed to immediately divert people away from homelessness --- people who are on the brink of having to survive minute to minute alone with no place to go. 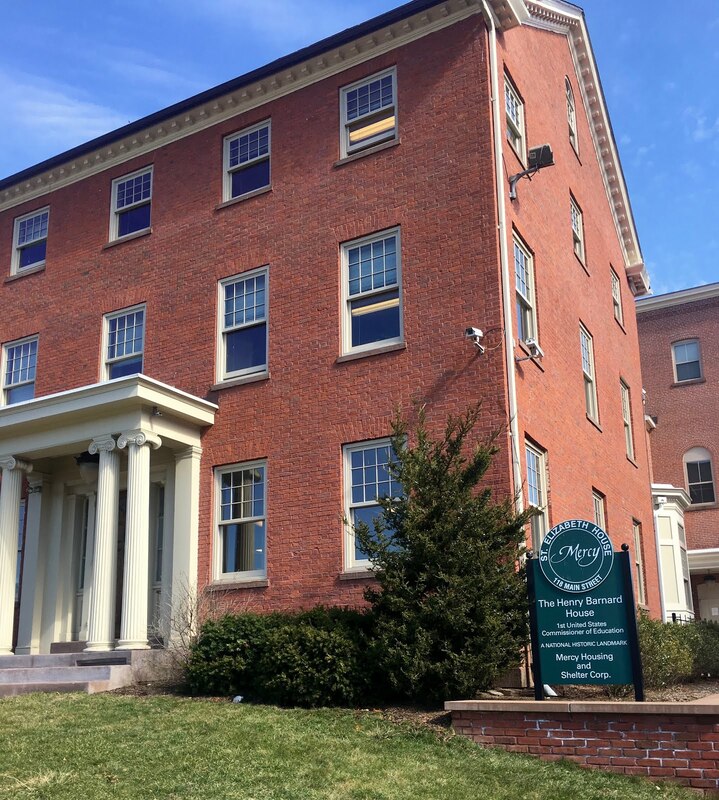 "This program enhances Mercy's ability to prevent a person from becoming homeless before their situation spins into a full-blown, life threatening crisis," Executive Director Gough told me. Throughout its thirty-five year old mission of providing housing assistance and supportive services to persons who are homeless, or at risk of becoming homeless, Mercy has prided itself as being on the forefront of creating workable community solutions. Simple and direct, the Diversion Center's goal is to find its clients safe, stable housing rapidly. The Center's reach is wide. It provides services in what's organized as the Greater Hartford Coordinated Area Network, which, in addition to Hartford and its surrounding towns, includes Enfield, Manchester, East Hartford, Ellington, and Tolland. 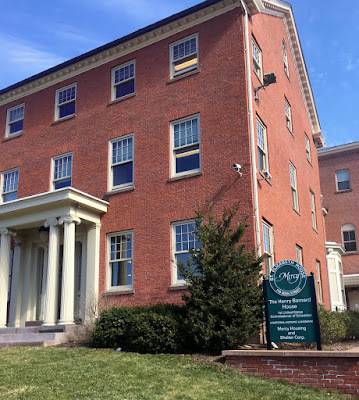 "Nearly thirty percent of people in this situation [of being homeless] can be diverted from this tragic outcome with minimal mediation," according to Connecticut Coalition to End Homelessness workshops. "Often the solution can be overcome with little or no money to reverse the events leading to homelessness," saving Hartford and Connecticut thousands of dollars. According to Stephanie Corbin, Mercy's Shelter Diversion Coordinator, the diversion process is best described as highly responsive "front door triage." It provides personalized solutions with accompanying emotional support aimed at mitigating the problems leading to a client's crisis. It's all accomplished at the Center in centralized coordination with several Hartford based agencies serving the homeless, including Journey Home, the Salvation Army, Community Health Resources, and the City of Hartford. 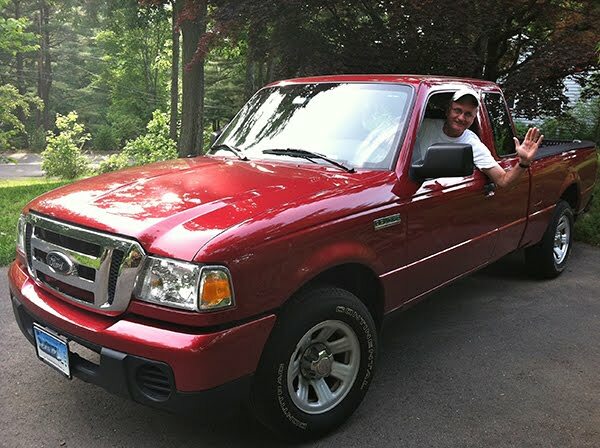 Corbin emphasized that the key to successful client outcomes is case manager creativity. The solution for each client must address the direct question, "What do we need to do right now to keep you out of the shelter system?" and Latoya Smith to review recommendations for each client. To counsel people in crisis quickly and directly, a collaborative team of case managers from Mercy, the Salvation Army, and Community Health Resources staff the Center every week. People seeking the Center's support first call the 211 Infoline, which initially assesses the caller's need for services, and then, as deemed appropriate, schedules an appointment for them to see a Center case manager within 24 to 48 hours. Appointments are scheduled Monday through Friday beginning at 9:00 AM. Arranging a family intervention allowing a teenager to seek redemption and return home after being kicked out for unacceptable behavior. Working with a family facing eviction because of an unresolved rent dispute with their landlord. Working with a family being evicted for violating a rental agreement by housing non-family members. Assisting a client with short-term financial assistance needed to keep them in good stead with their landlord while they recover from a medical setback. Providing a client with bus or train fare enabling them to reunite and live with family residing in another state. 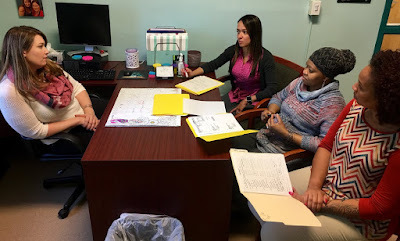 In addition to crisis resolution assistance, Diversion Center clients may also see a nurse or physician's assistant in the center's medical suite staffed by Charter Oak Health Center, or find respite in St. Elizabeth House's Friendship Center with a healthy meal, or hot shower. 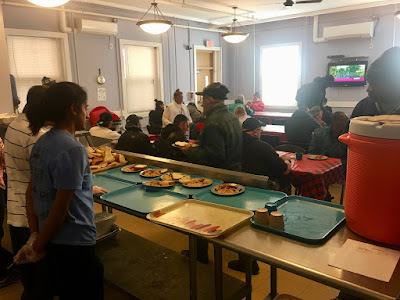 St. Elizabeth's Friendship Center serves a hot lunch prepared on site. Opened just twenty months ago, Mercy's Diversion Center is still in its formative stage, yet its results to date are encouraging. In fiscal year 2017, 2,577 individuals were seen by a case manager. During that period 456 were diverted from homelessness, sixty-two of whom were between the ages of 18-24, and 124 required limited financial assistance that helped them avoid homelessness. Further, 1,244 people, whose cases were not readily resolvable, were referred directly to city shelters, and the remaining group were either referred to other area programs, or were deemed ineligible for assistance. According to Executive Director Gough current demand for the Center's diversion service is showing an increase over last fiscal year. With one full year of experience, and a second well underway, the Diversion Center has charted a path for other agencies serving the homeless to follow, and to improve upon collectively. It's a path the Connecticut Department of Housing strongly endorses. It's a path leading to life saving diversions, or perhaps one could say "Mercy-ful Diversions." This post was reprinted in the Mercy Housing and Shelter Spring 2018 Newsletter, and in Journey Home Connecticut's Journey Home News Spring 2018. For the Record: I am currently a member of Mercy Housing and Shelter Corporation's Board of Trustees. Further, I served as an analyst in developing "Hartford's Plan to End Chronic Homelessness by 2015"; and I represented Hartford Area Habitat for Humanity in the development of a subsequent implementation plan called "Journey Home -- The Ten Year Plan to End Homelessness in the Capitol Region"